Discover the joys of Hand Quilting with Jenny Beyer. 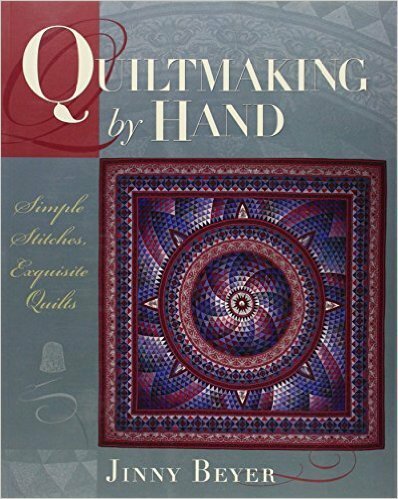 This is the penultimate guide for hand piecing and traditional hand quilting. More than 600 color photos and drawings clearly demonstrate every hand technique. From drafting patterns to designing pieced borders, you will quickly master the skills that give you the freedom to create. Patterns and templates are included for 10 hand-pieced quilts. From Breckling Press. 262 pages.